Ambrosia apples contest - An Ambrosia Apple A Day - Vote for best photo! 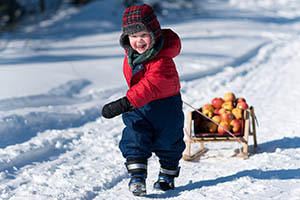 The winning photo is ‘Ambrosia Delivery‘ submitted by Stirling McIntosh from Thunder Bay, Ontario. See complete prize details – click here. Be sure to get your friends to vote for their favourite photos! And SHARE this contest on your Social Media sites. Just click on the links below to share on Facebook, Twitter, Instagram or Pinterest. However you share, we appreciate it. Thanks for spreading the word on the Ambrosia Apples A Day Contest!